Paperback, 9.25 x 11.25 in. / 288 pgs / 260 color. 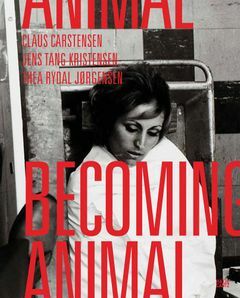 Edited by Claus Carstensen, Jens Tang Kristensen, Thea Rydal Jørgenson. Text by Ron Broglio, Claus Carstensen, Anne Gregersen, Donald Preziosi, et al. Brutally and forcefully, Becoming Animal connects the animalization of art history to the use of negatively charged animal metaphors in contemporary, everyday rhetoric. Unlike animals, humans are painfully conscious of their own existence and mortality. Becoming Animal explores this fact through works by Francisco de Goya, Albert Oehlen, Gardar Eide Einarsson, Matias Faldbakken and others. FORMAT: Pbk, 9.25 x 11.25 in. / 288 pgs / 260 color.